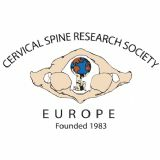 The Cervical Spine Research Society is a multidisciplinary organization of individuals interested in clinical and research problems of the cervical spine. Its purpose is to provide a forum for the exchange and development of ideas and philosophy regarding the diagnosis and treatment of cervical spine injury and disease. The organization values collegial interaction and strong scientific principles.